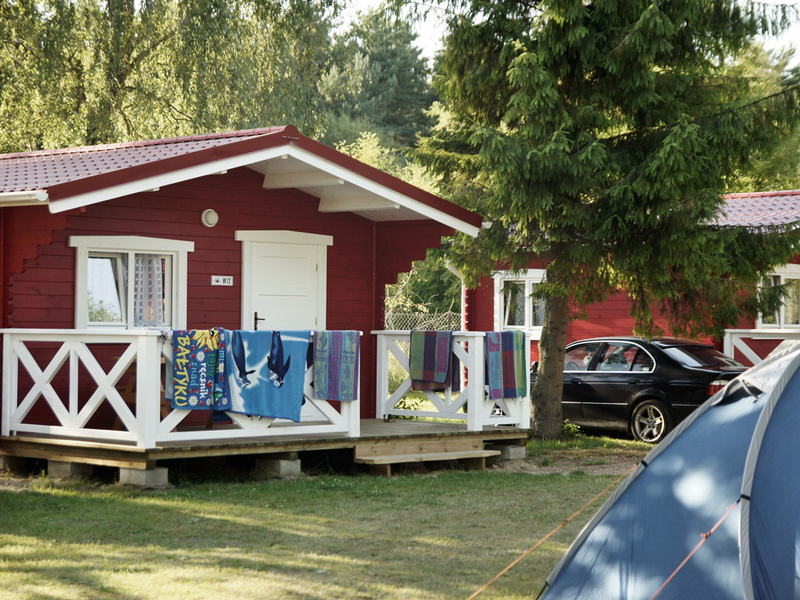 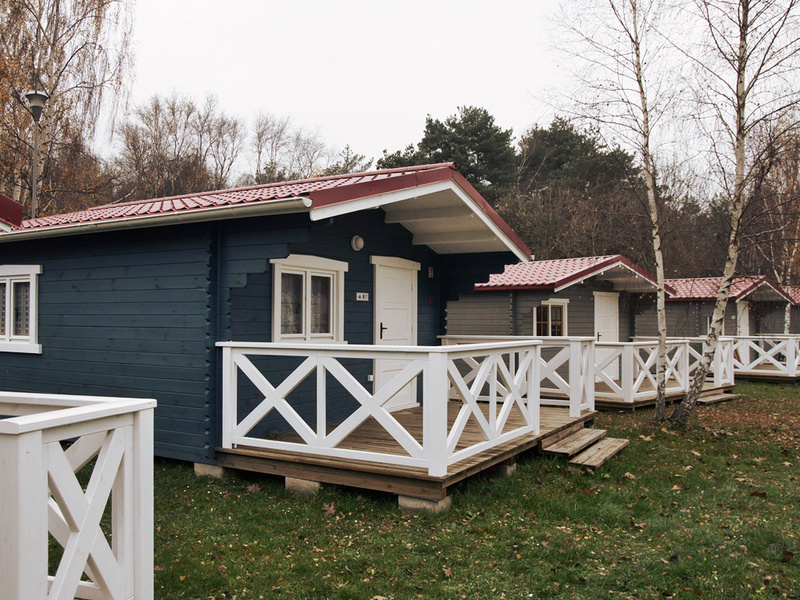 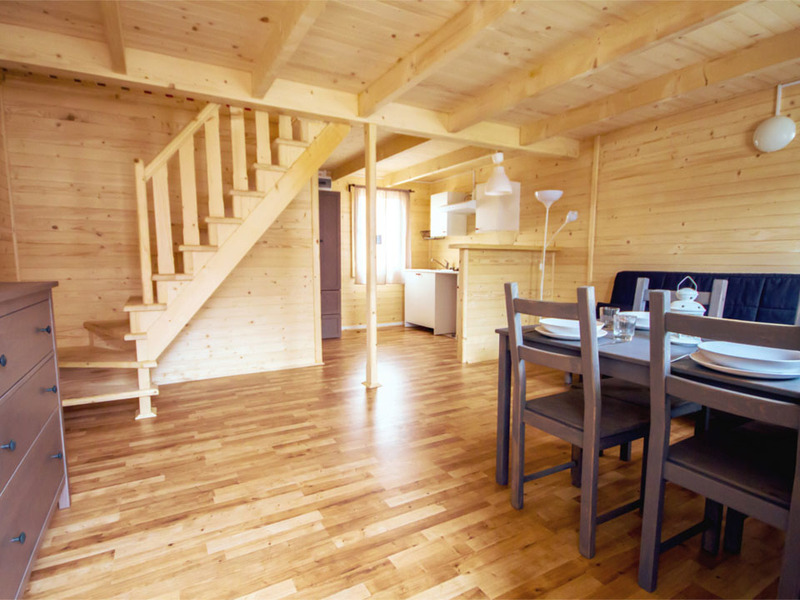 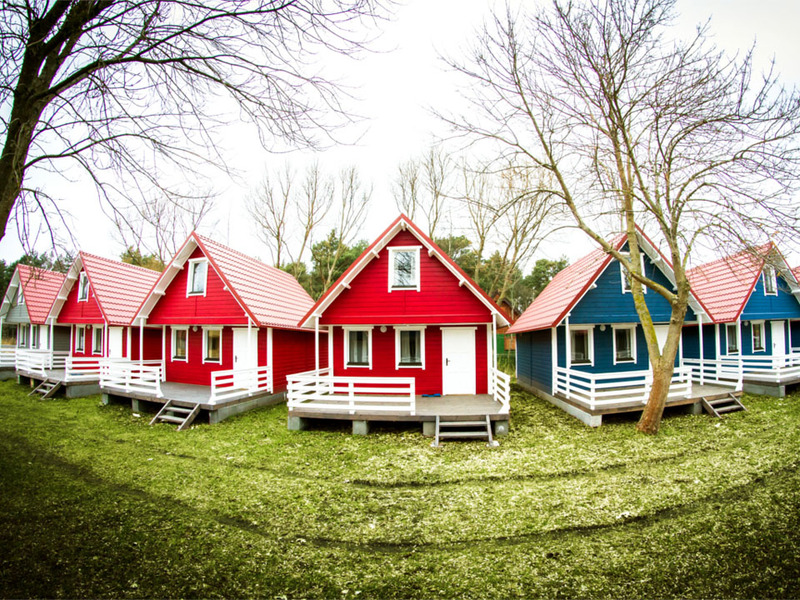 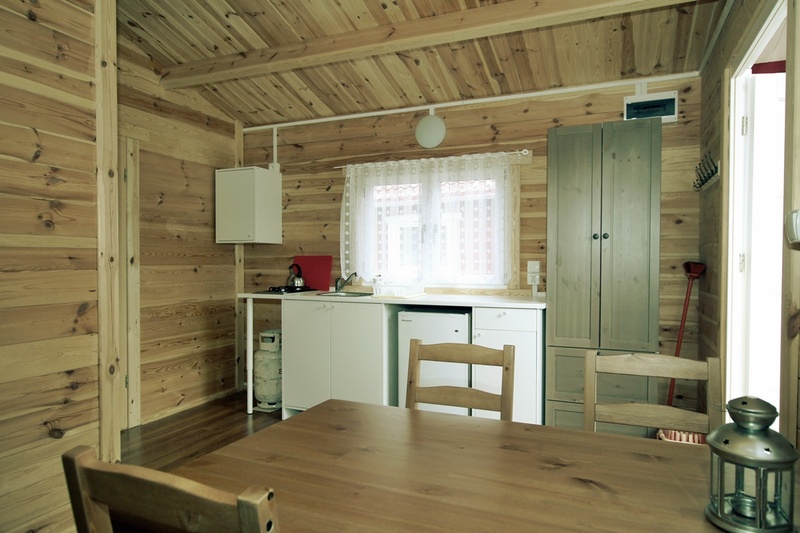 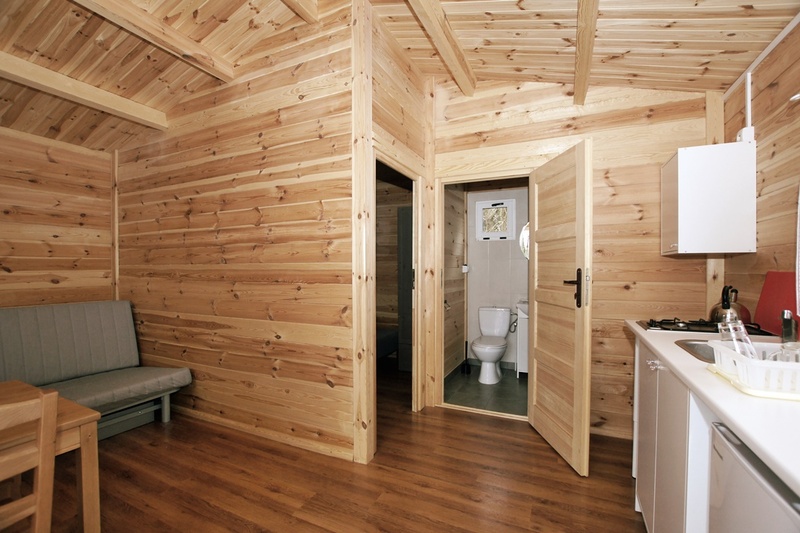 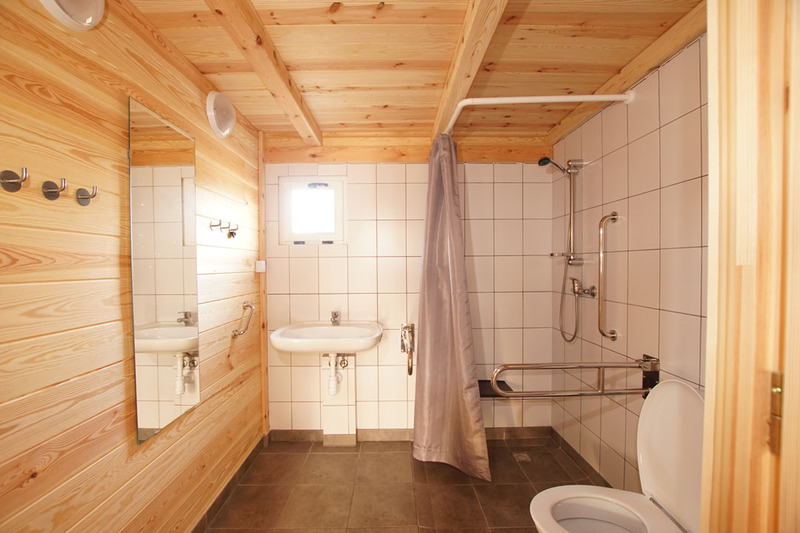 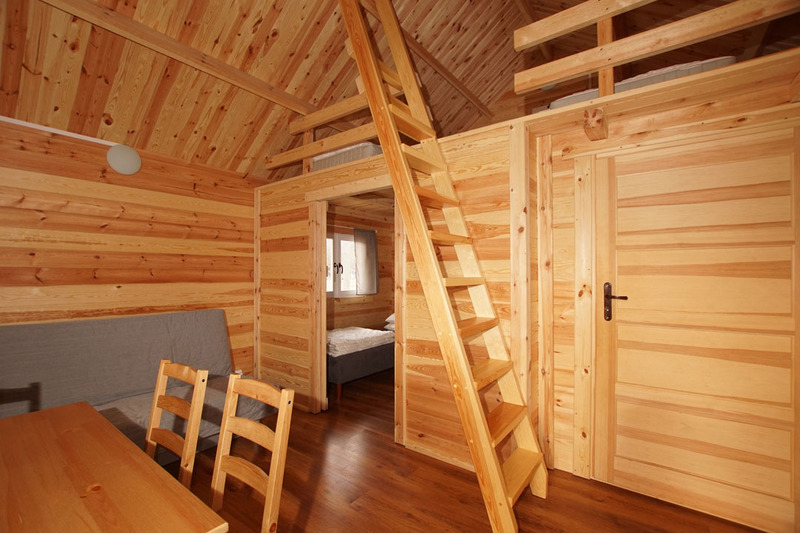 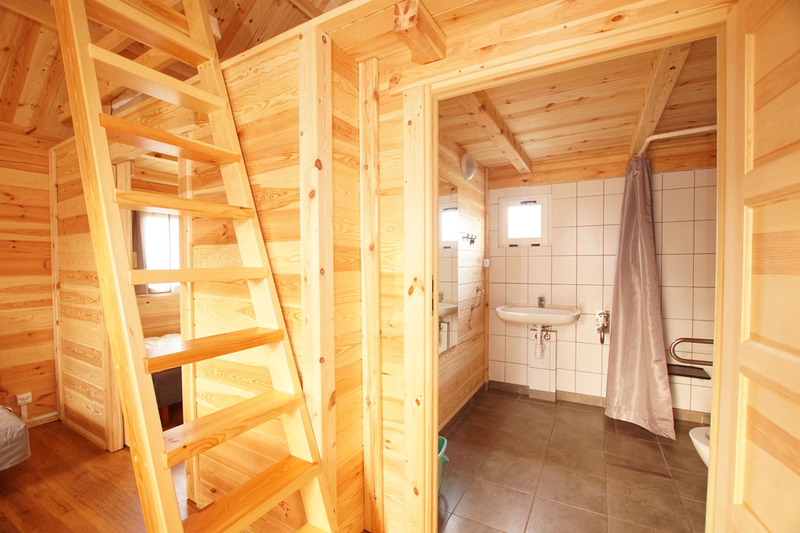 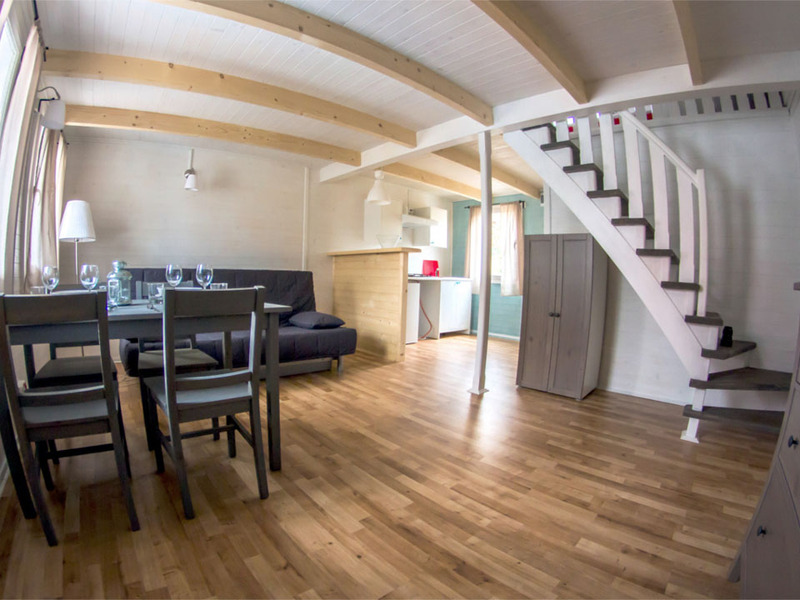 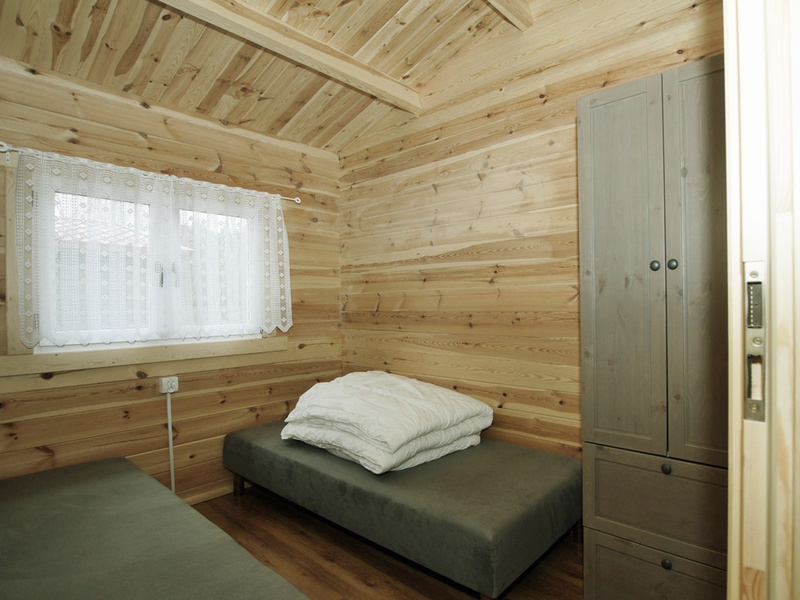 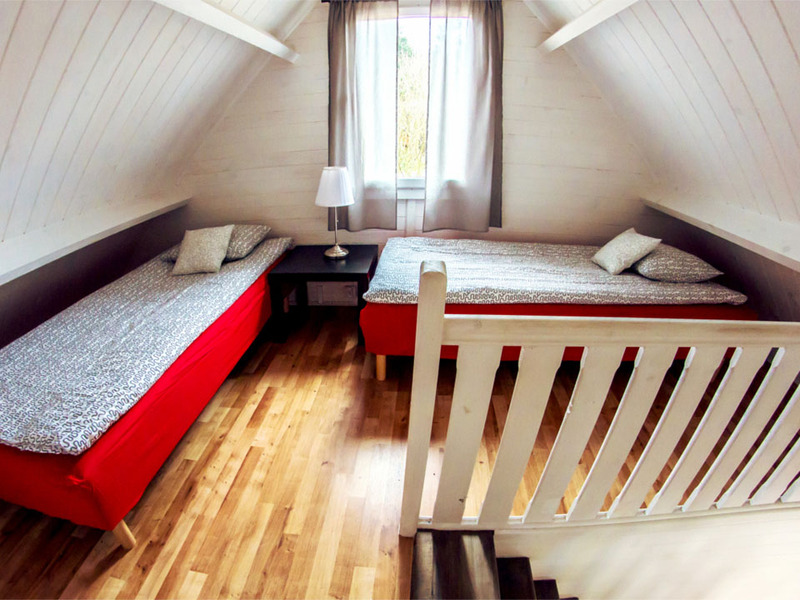 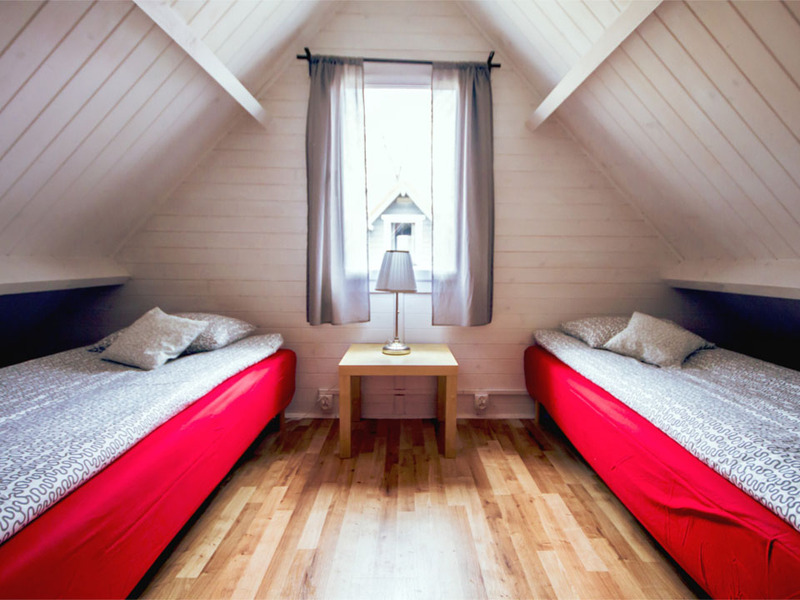 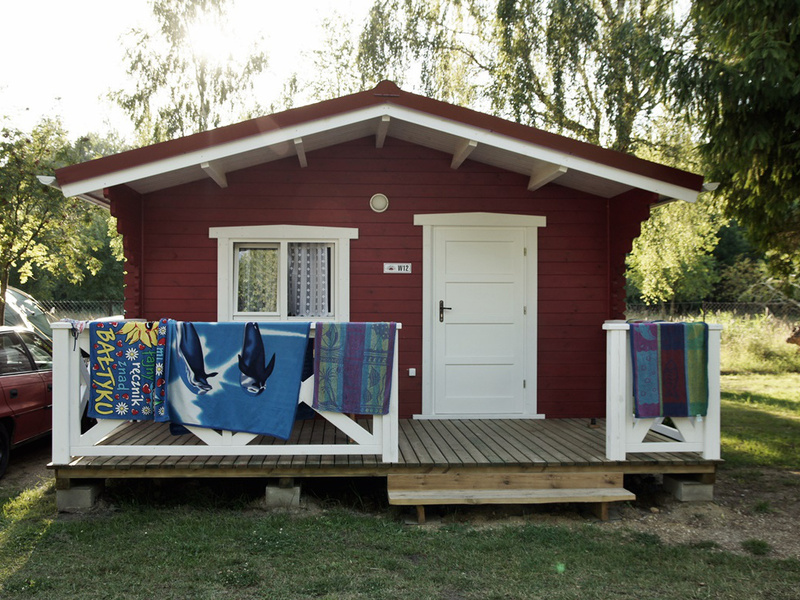 One-storey Skandinavian cottage has 54 m2 and consists of living room with kitchenette and bathroom (toilet, washbasin, shower cubicle), and two upstairs bedrooms for up to 6 people. 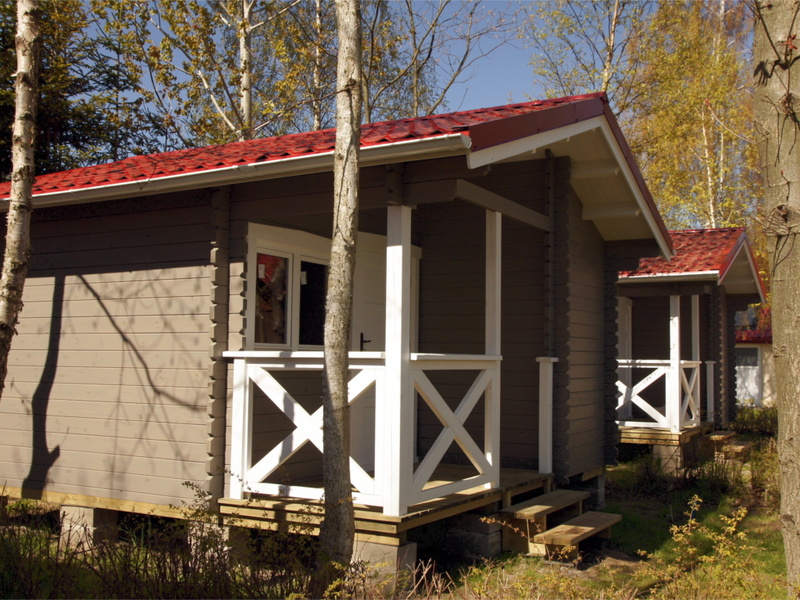 Each cottage is furnished with double sofa bed, 4 single beds (with bed set), wardrobe, two chests of drawers, table with chairs. 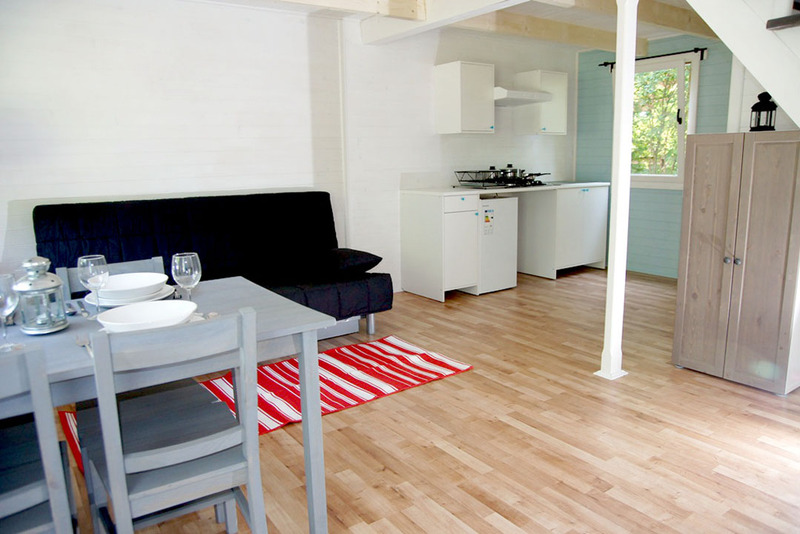 The kitchenette is equipped with a gas stove, fridge, pots and pans, cutlery, kettle. 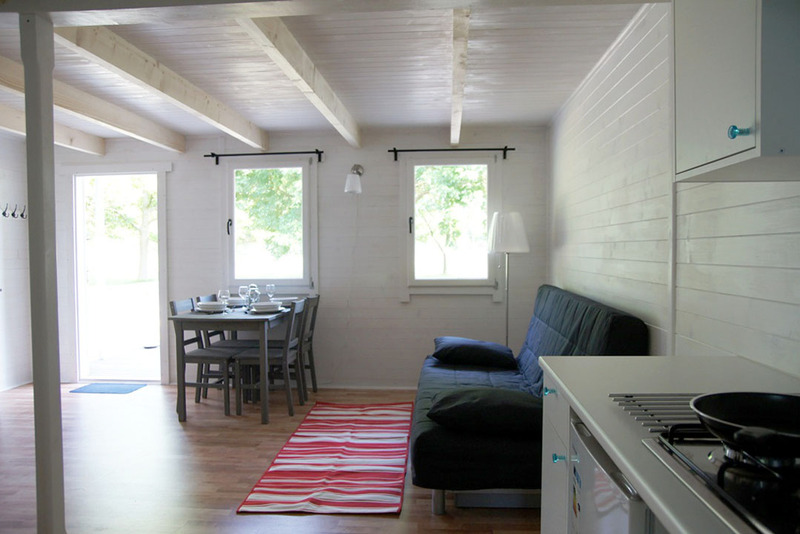 In front of the cottage is a 15-meter illuminated terrace with a beer bench. 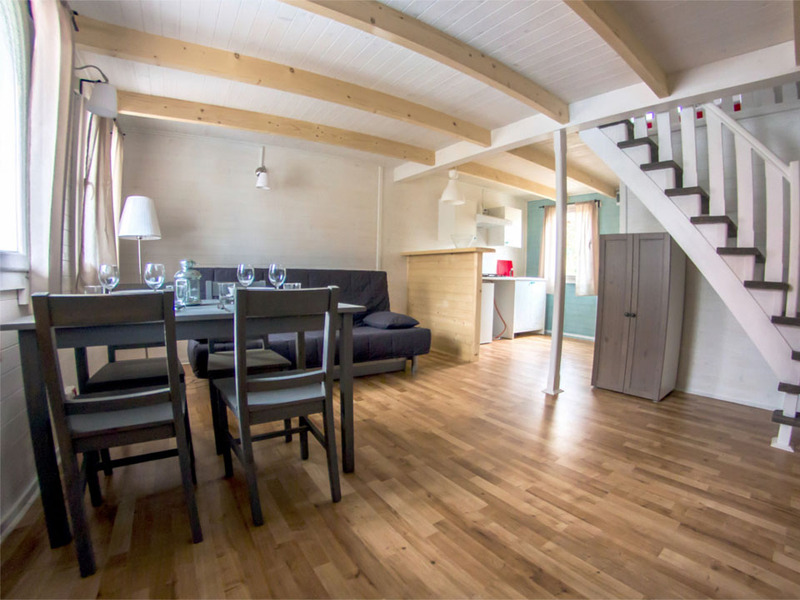 One-storey holiday cottage has 25 m2 and consists of living room with kitchenette and bathroom (toilet, washbasin, shower cubicle), and lockable double bedroom downstairs and open bedroom on the mezzanine. 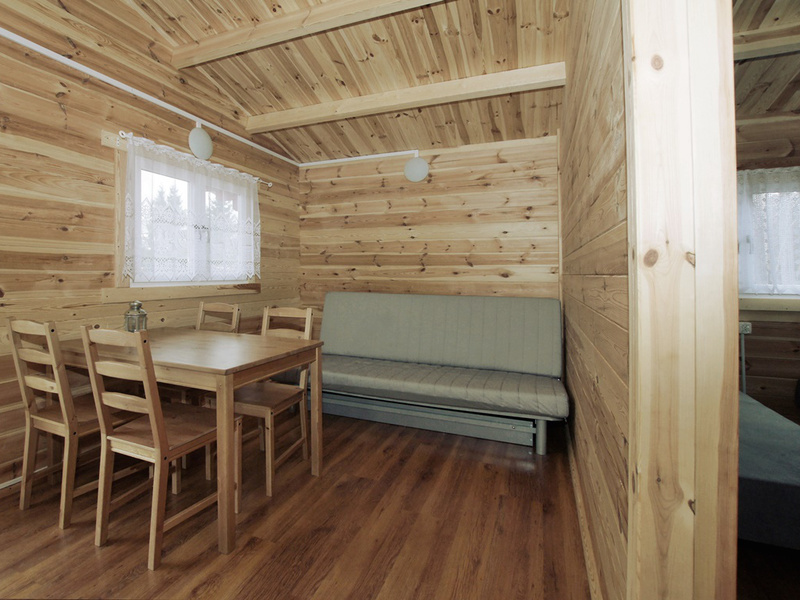 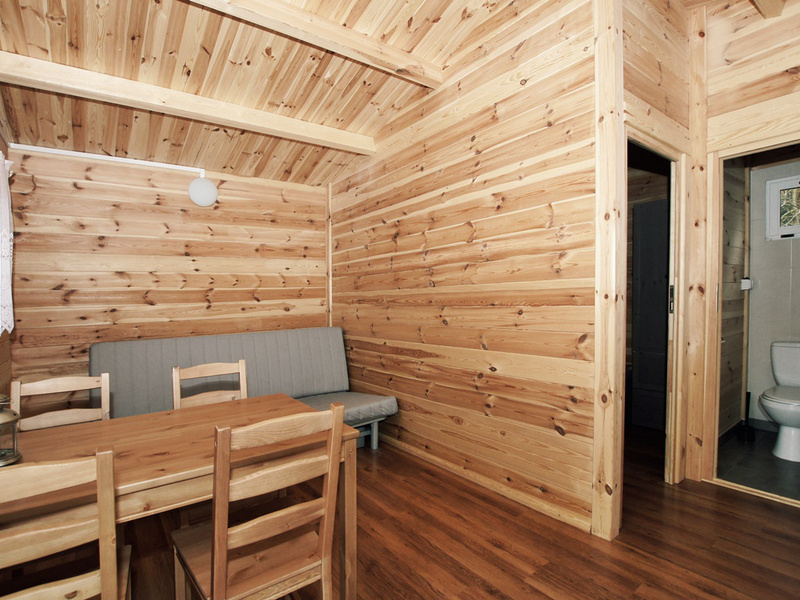 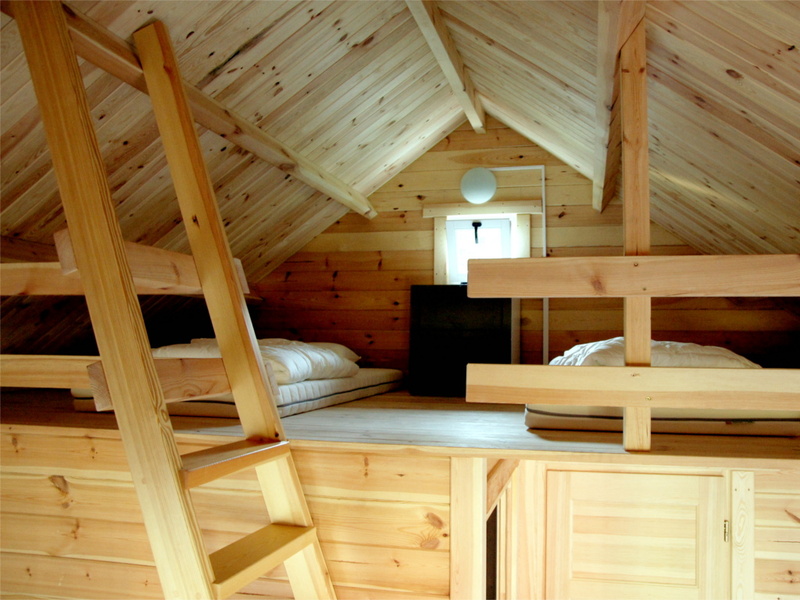 Cottage is designed to accommodate 6 people. 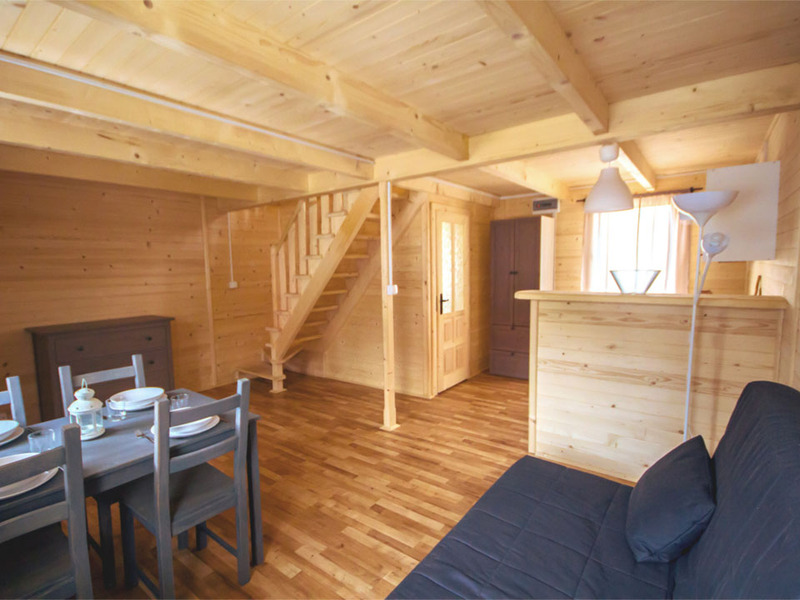 Each cottage is furnished with double sofa bed, 2 single beds and 2 mattresses on the mezzanine (with bed set), wardrobe, table with chairs. 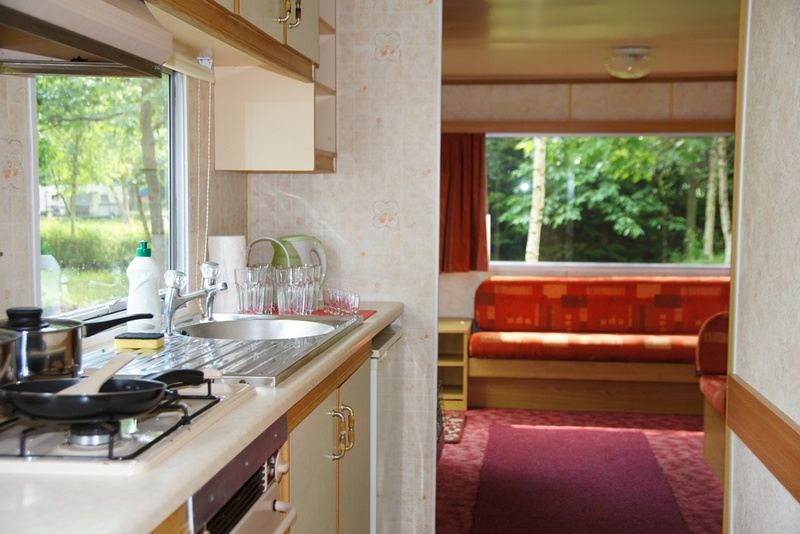 The kitchenette is equipped with a gas stove, fridge, pots and pans, cutlery, kettle. 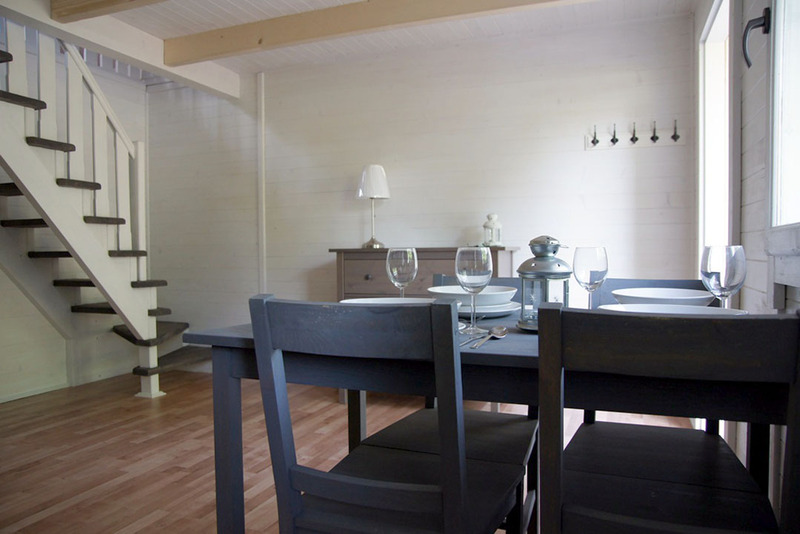 In front of the cottage is a 12-meter illuminated terrace with a beer bench. 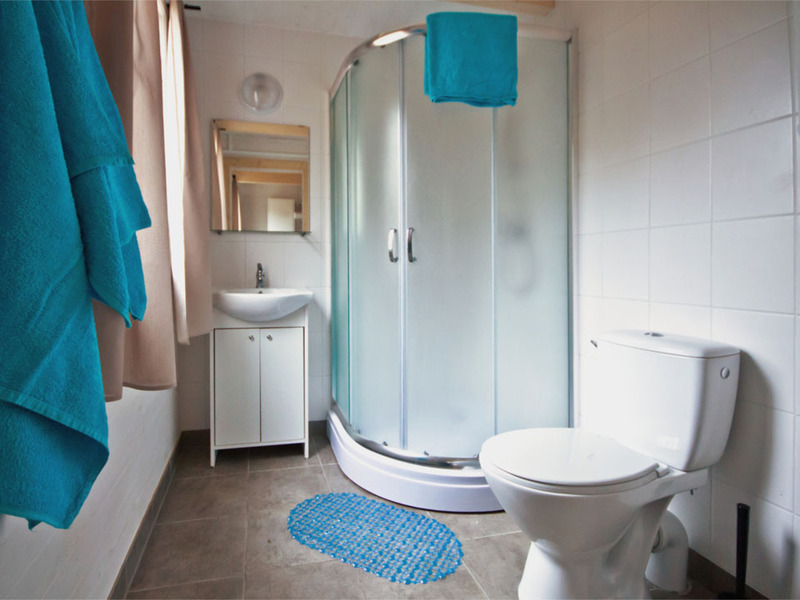 Single-storey holiday cottage has 25 m2 and consists of living room with kitchenette and bathroom (toilet, washbasin, shower cubicle), and lockable double bedroom. 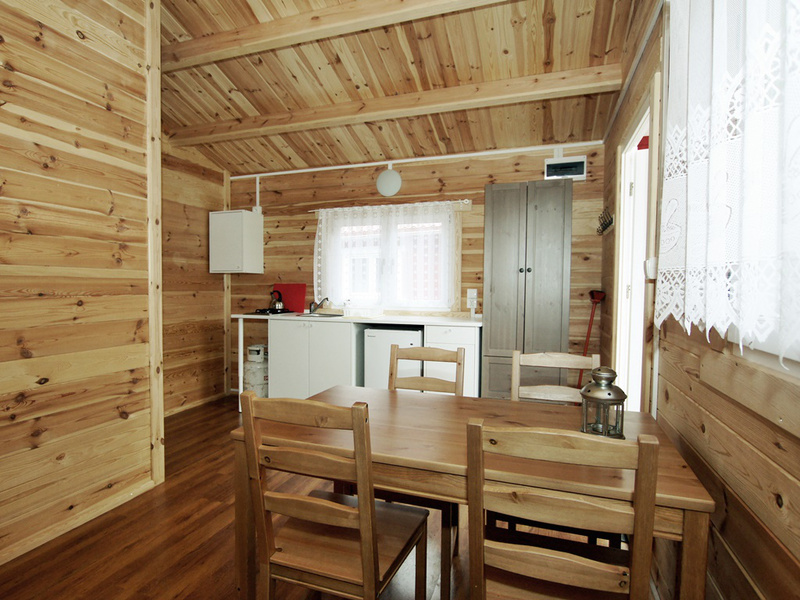 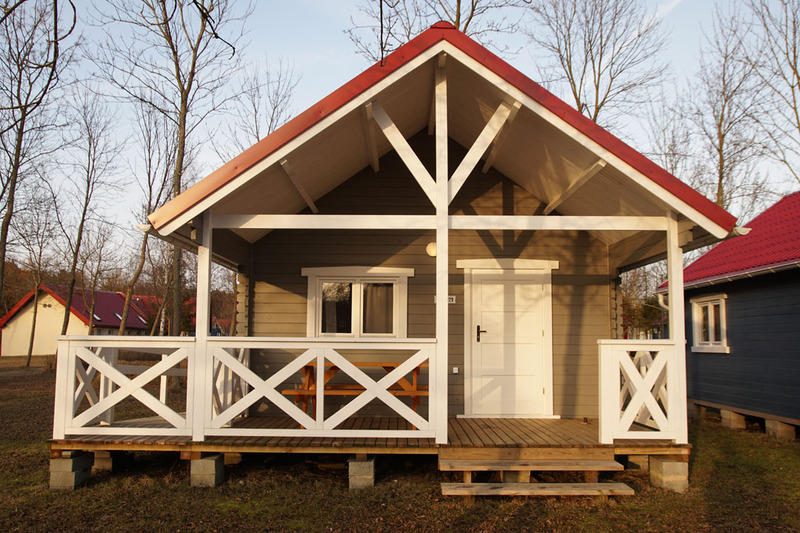 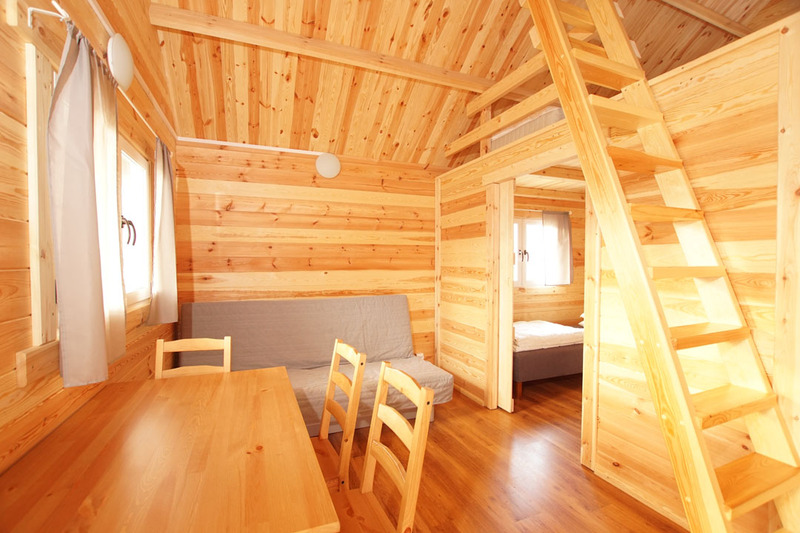 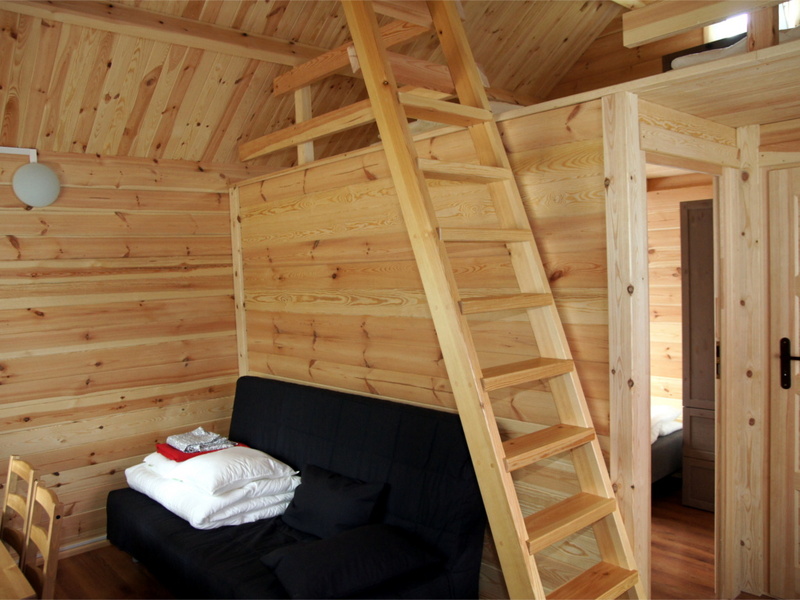 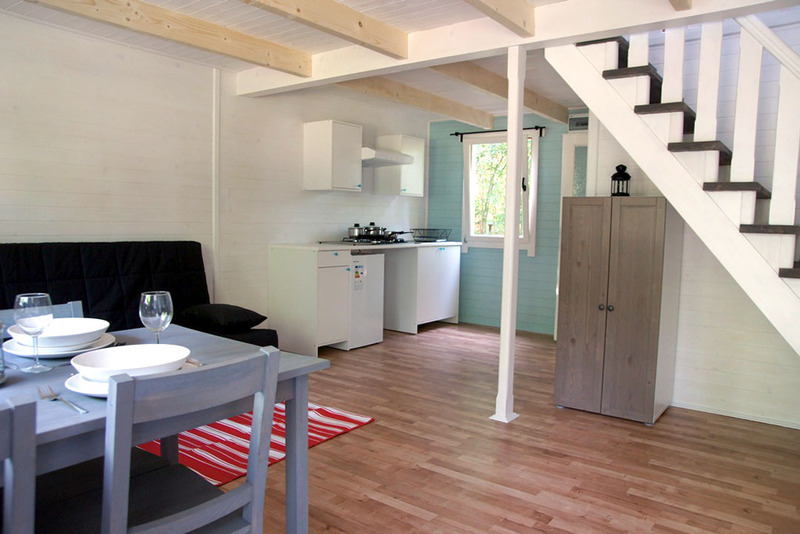 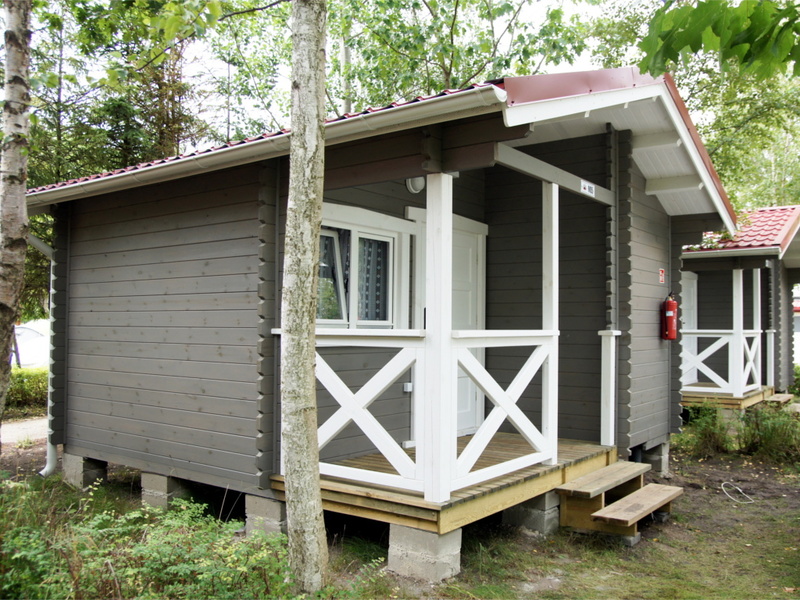 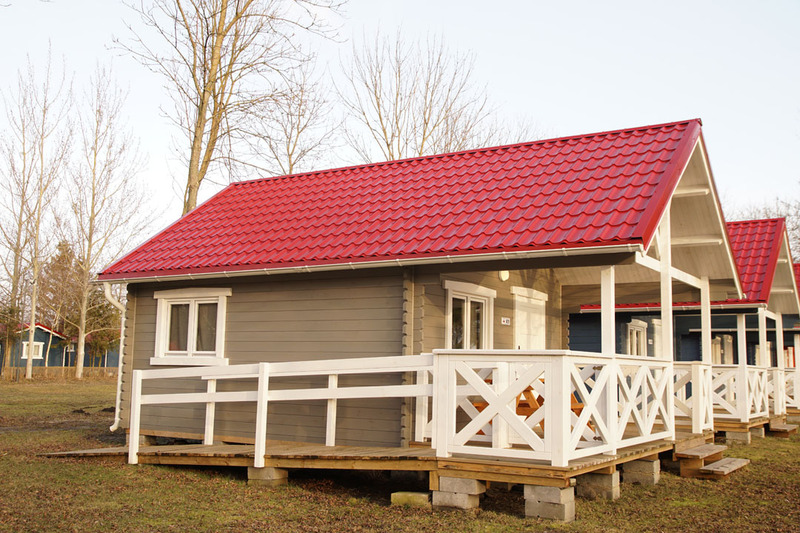 Cottage is designed to accommodate 4 people. 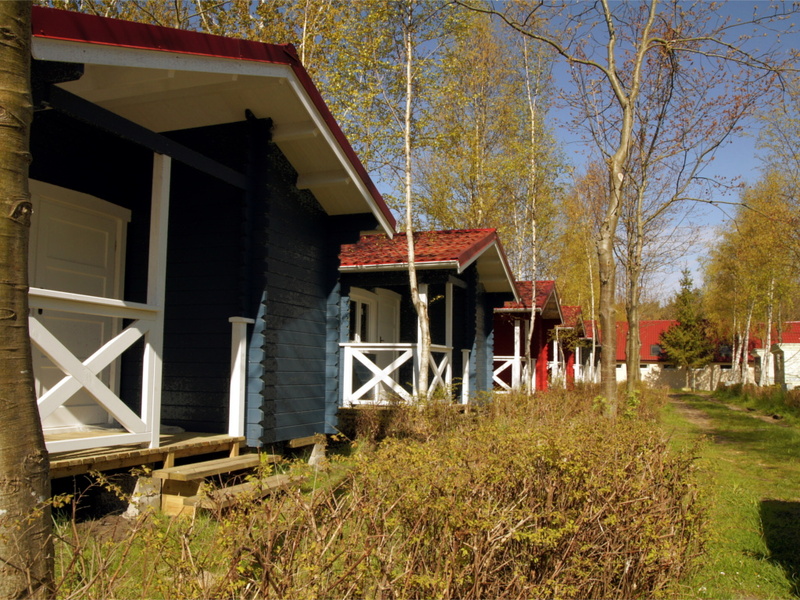 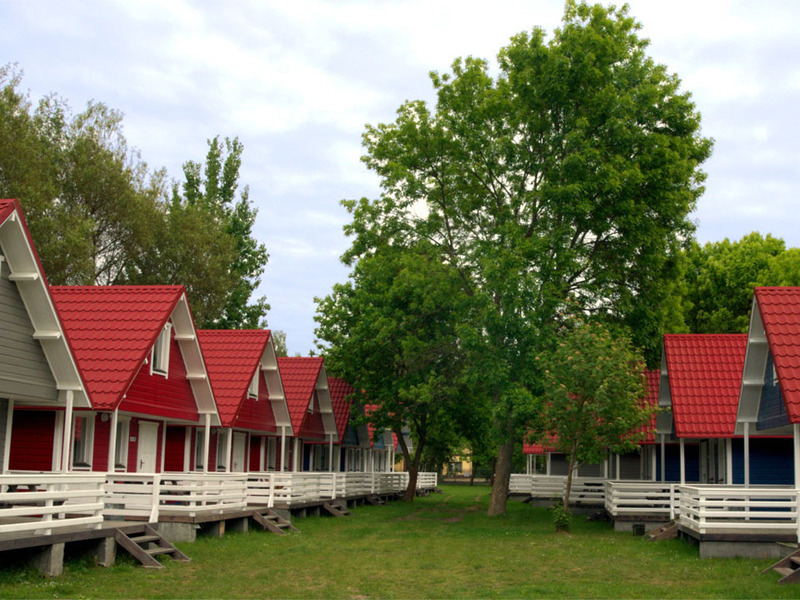 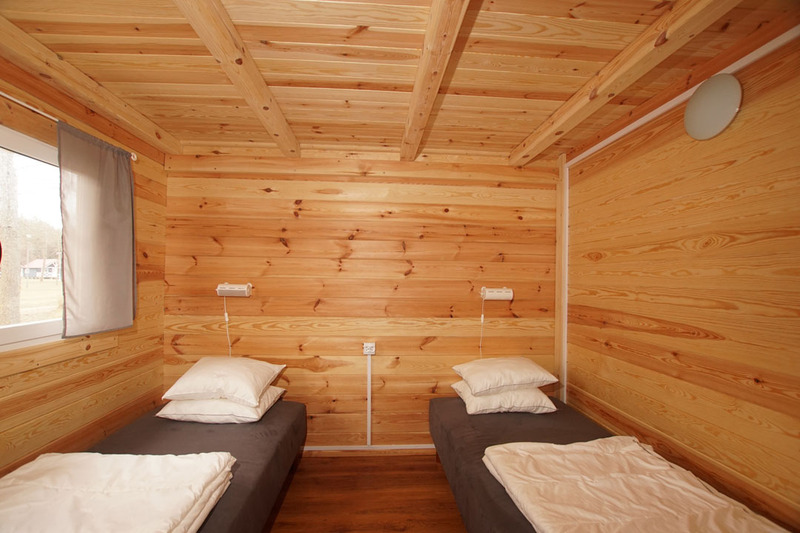 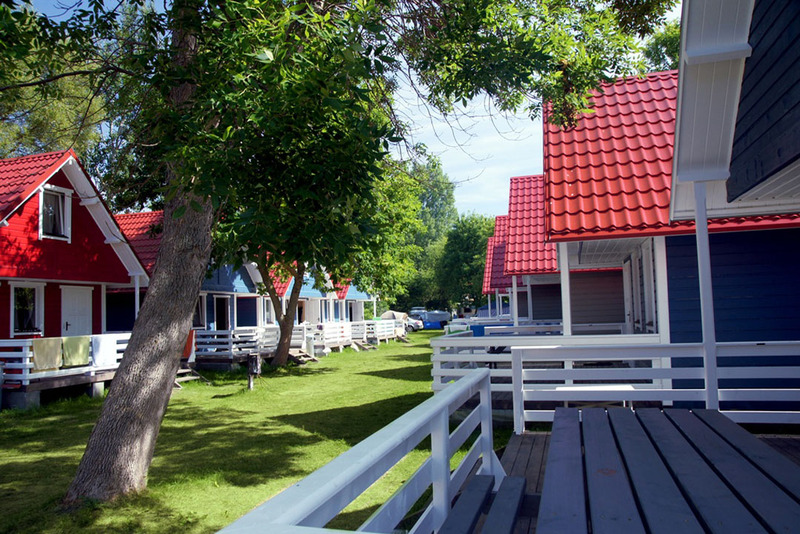 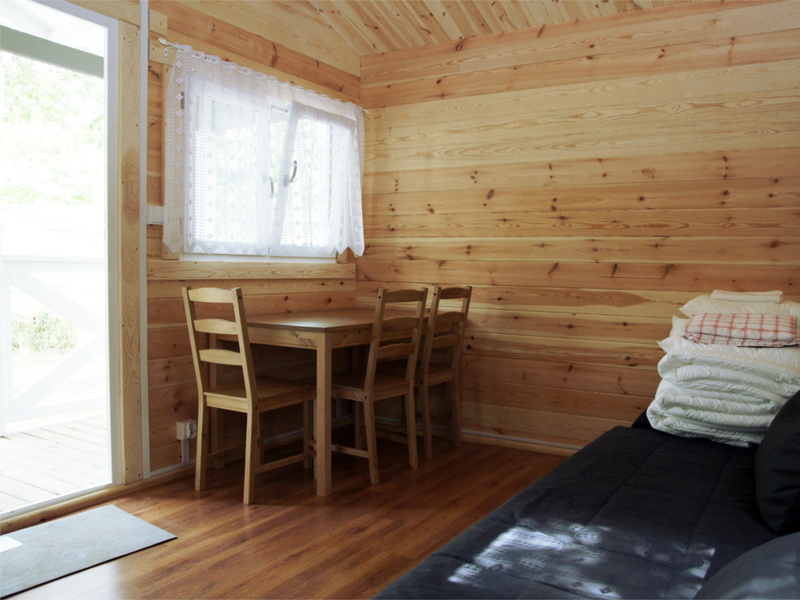 Each cottage is furnished with double sofa bed, 2 single beds (with bed set), wardrobe, table with chairs. 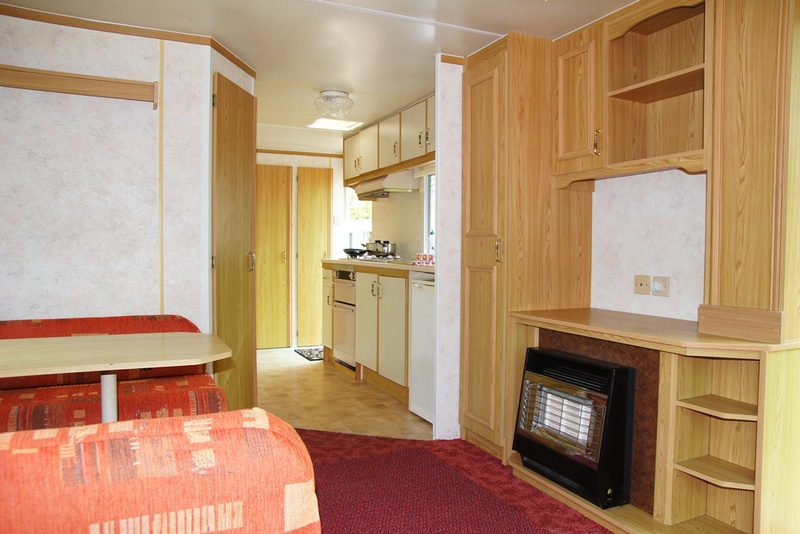 The kitchenette is equipped with a gas stove, fridge, pots and pans, cutlery, kettle. 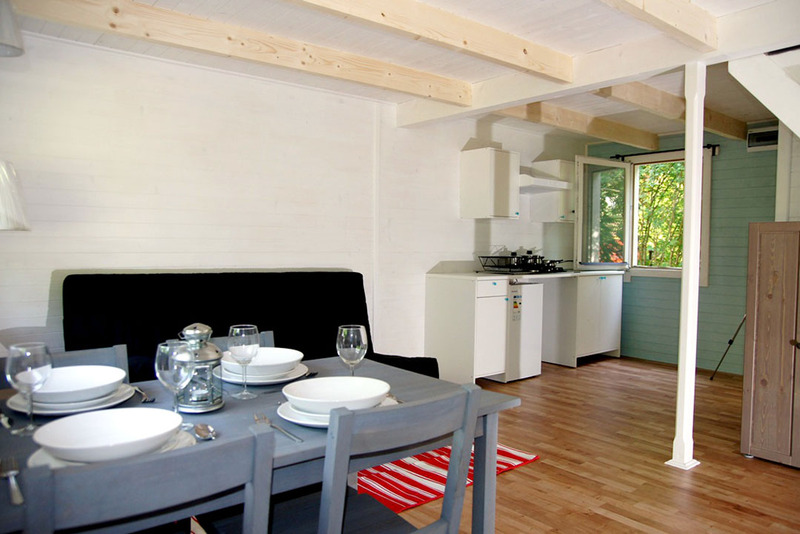 In front of the cottage is a 12-meter illuminated terrace with a beer bench. 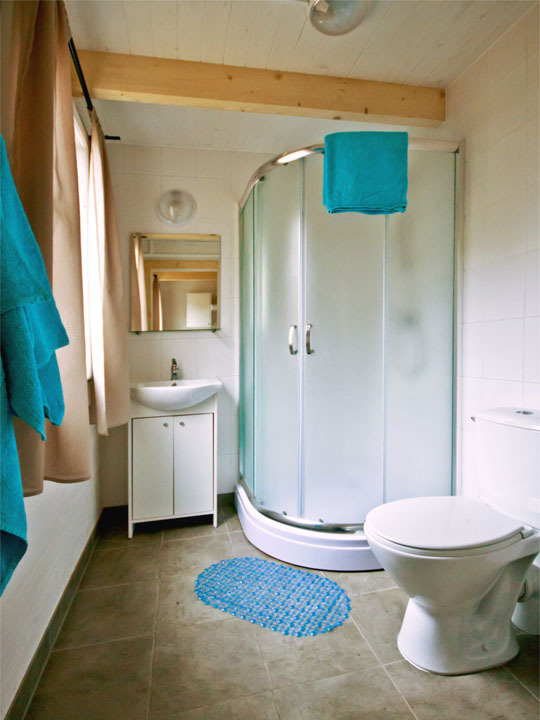 Single-storey holiday cottage has 16,5 m2 and consists of living room with kitchenette and bathroom (toilet, washbasin, shower cubicle). 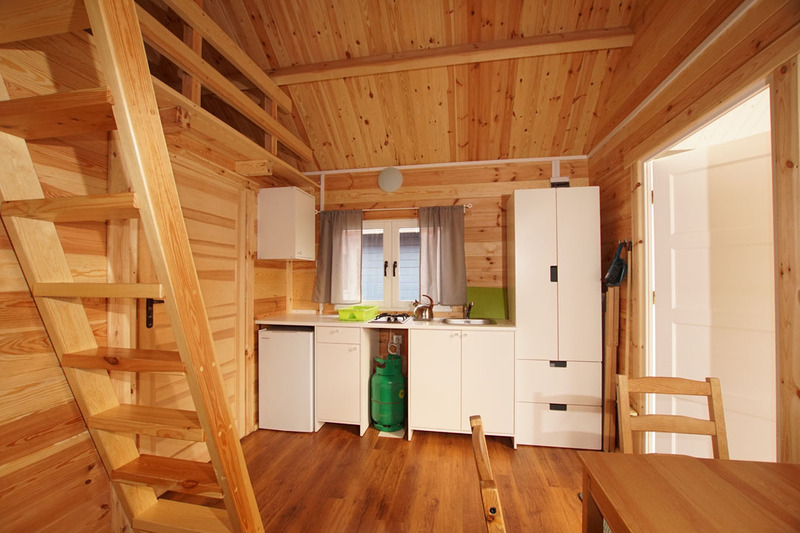 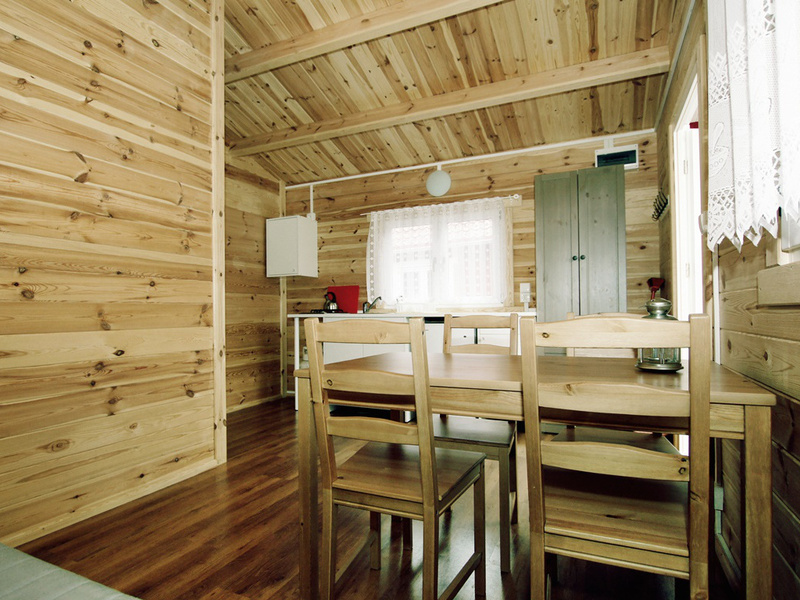 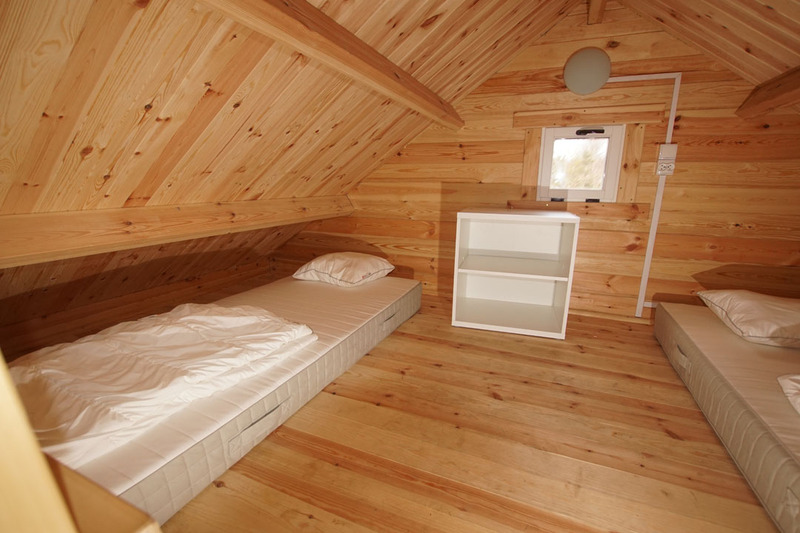 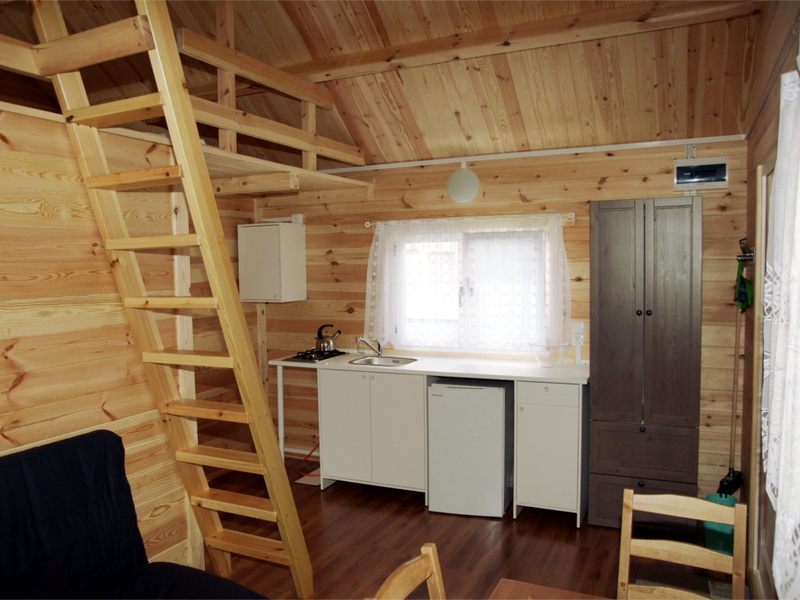 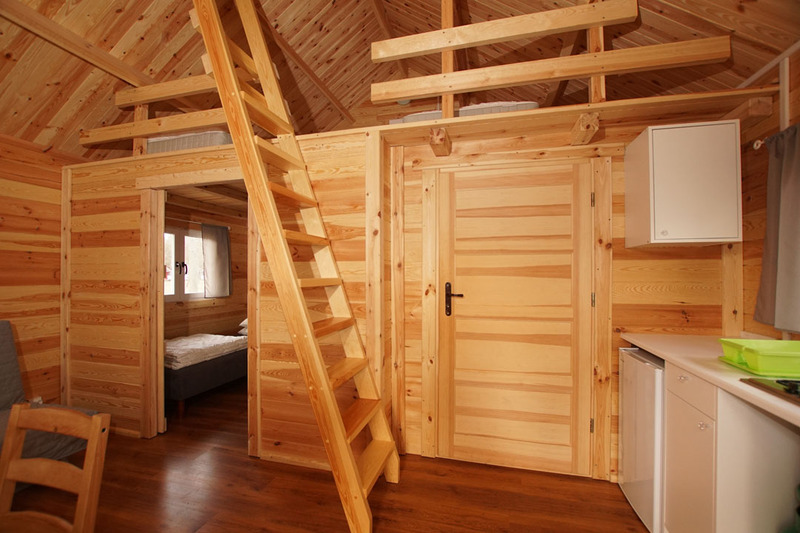 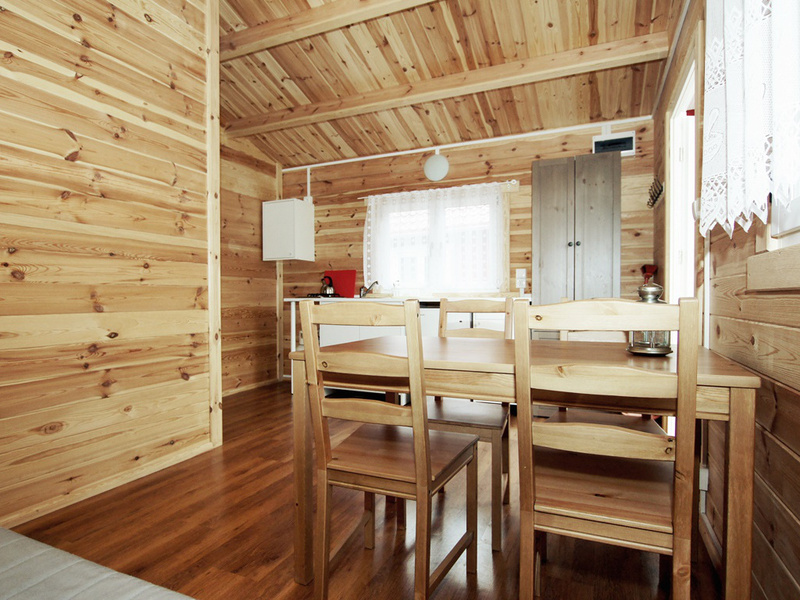 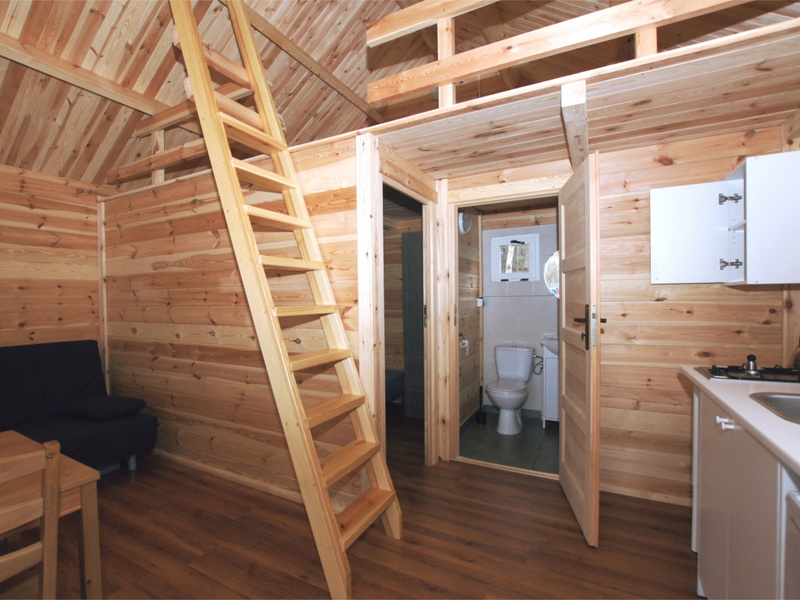 Cottage is designed to accommodate 3 people. 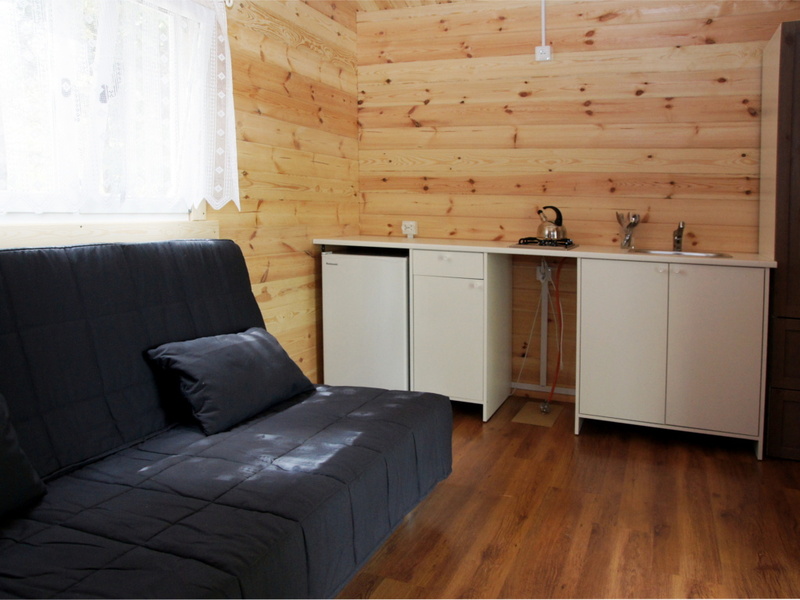 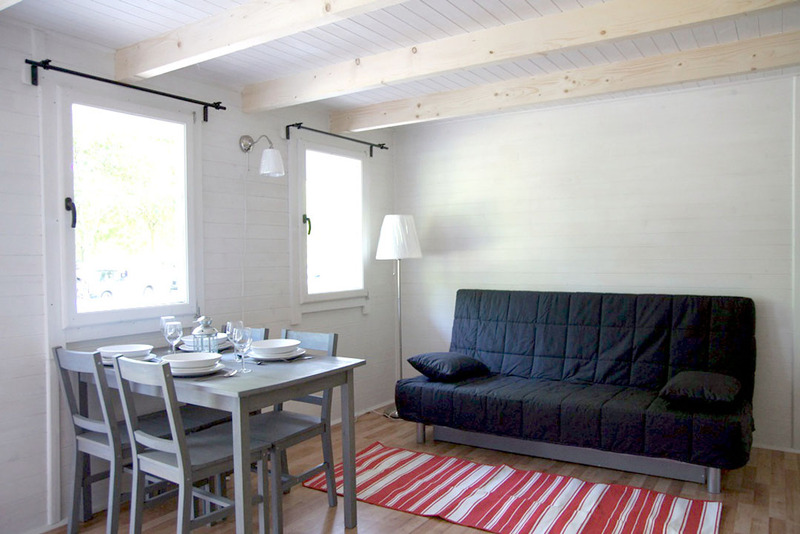 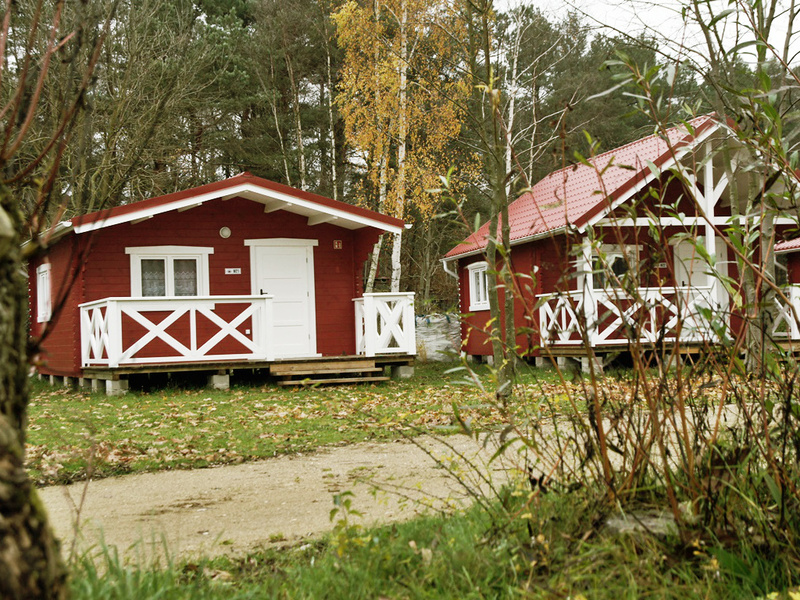 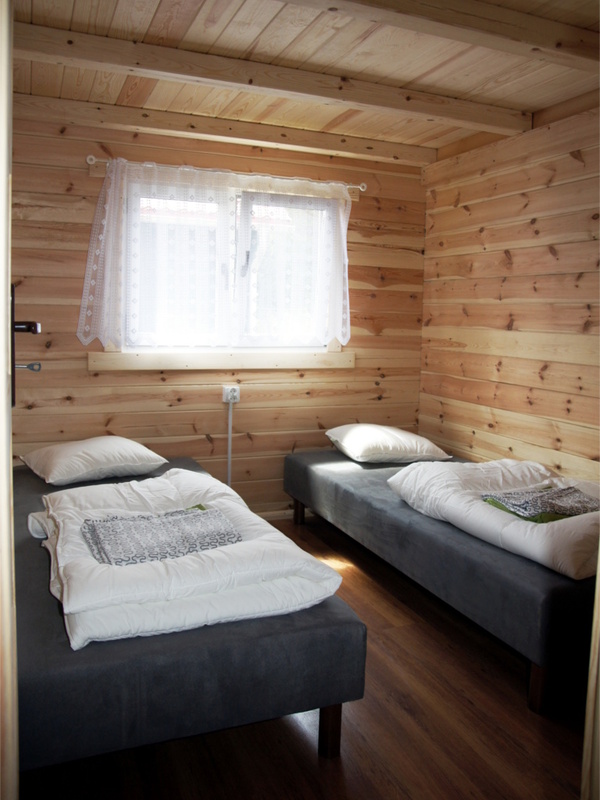 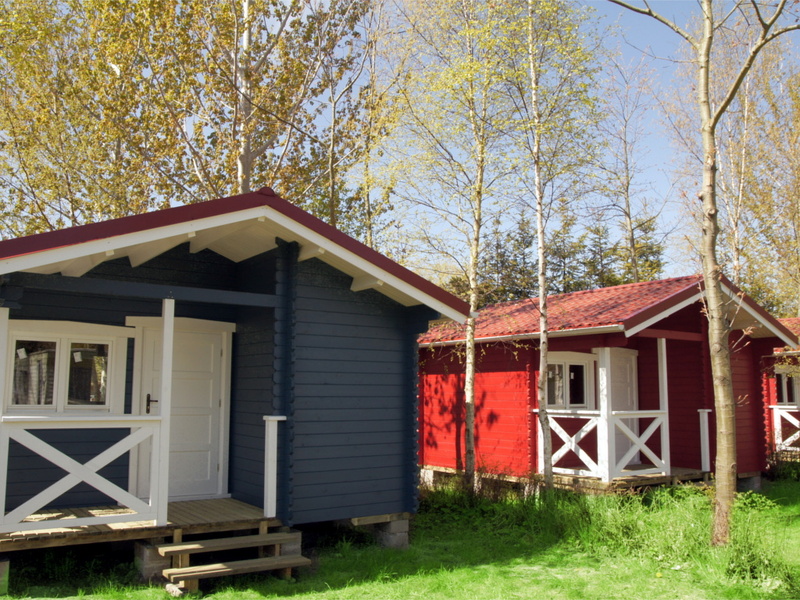 Each cottage is furnished with double sofa bed and convertible armchair. 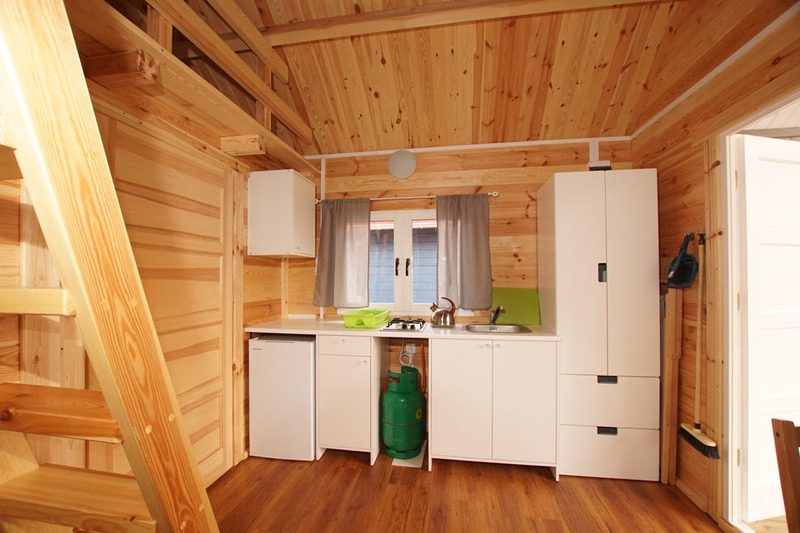 The kitchenette is equipped with a gas stove, fridge, pots and pans, cutlery, kettle. 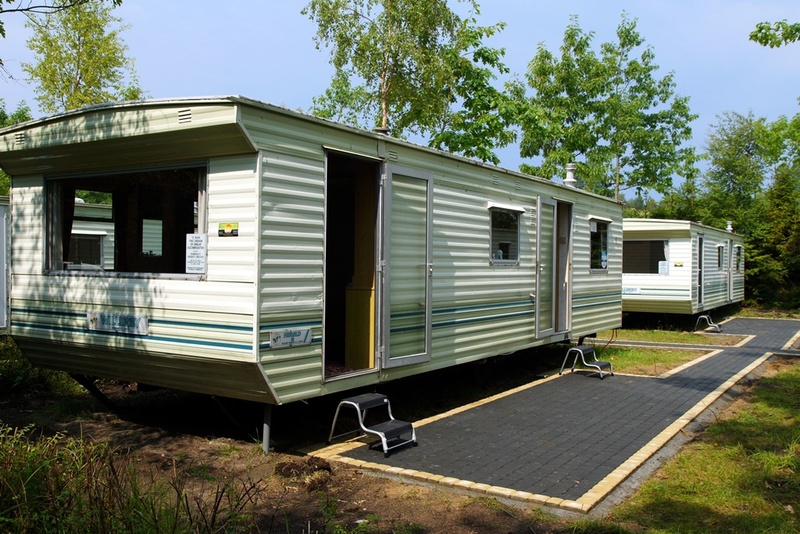 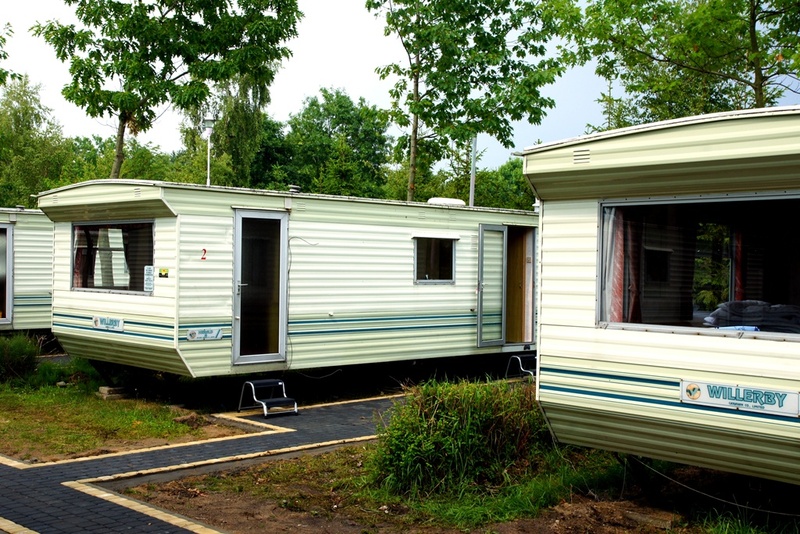 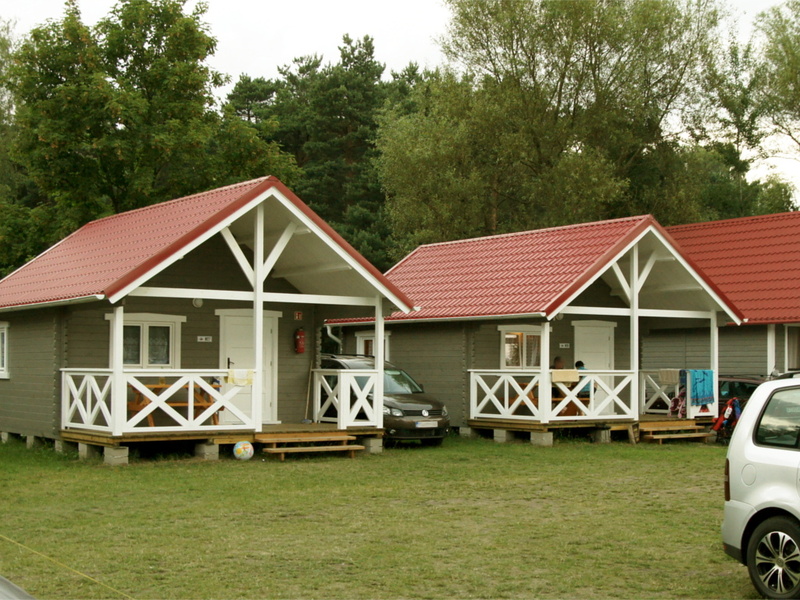 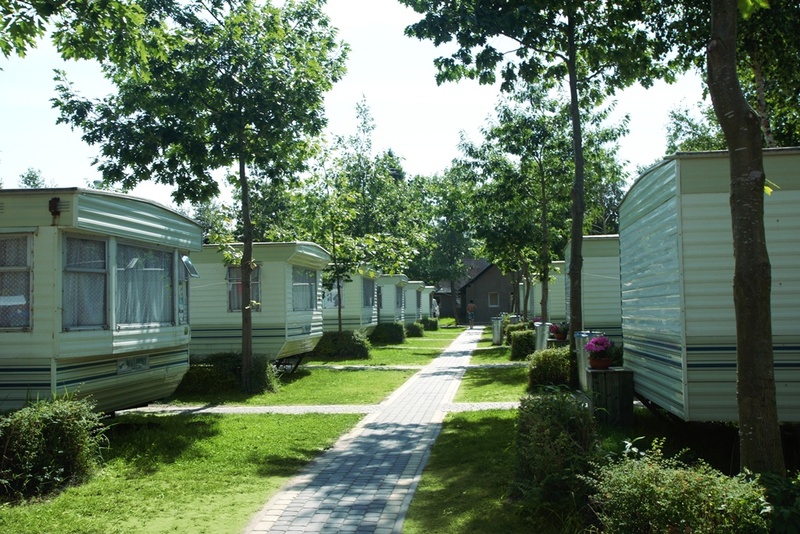 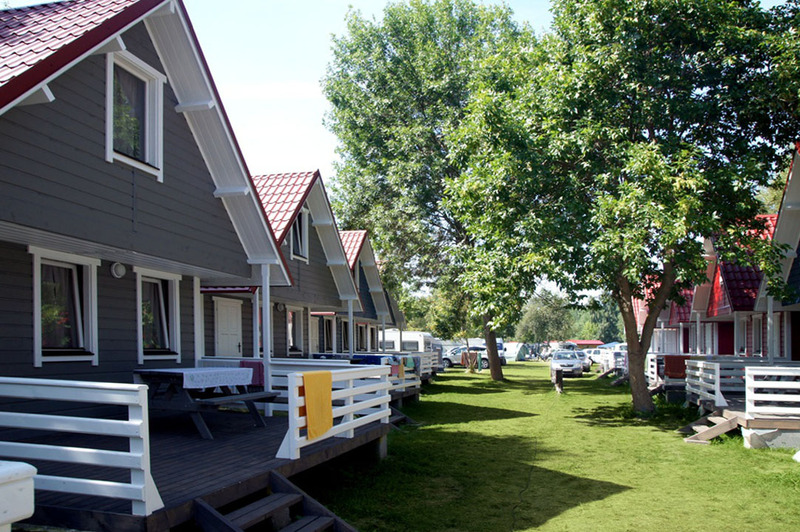 In the campsite there is a separate sector of 12 static caravan homes. 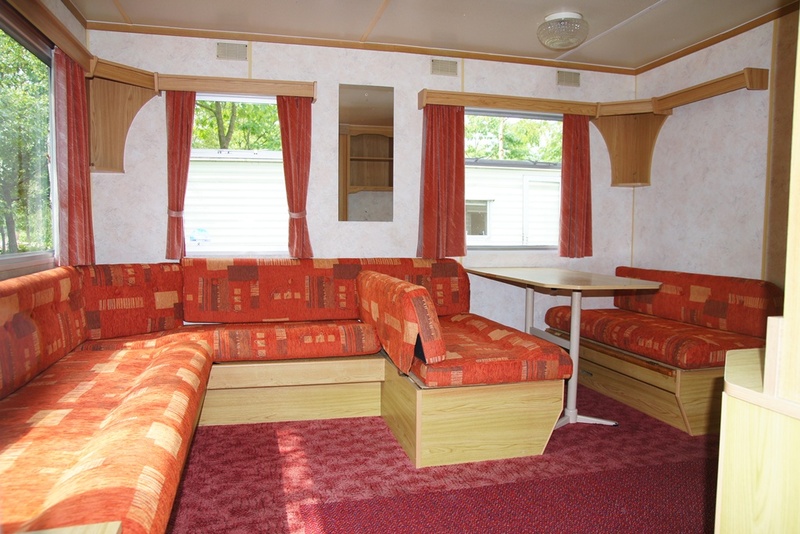 Each caravan home consists of living room (optional 2 extra sleeping space), kitchen, which is equipped with gas stove, sink, fridge, pots and pans, kettle. 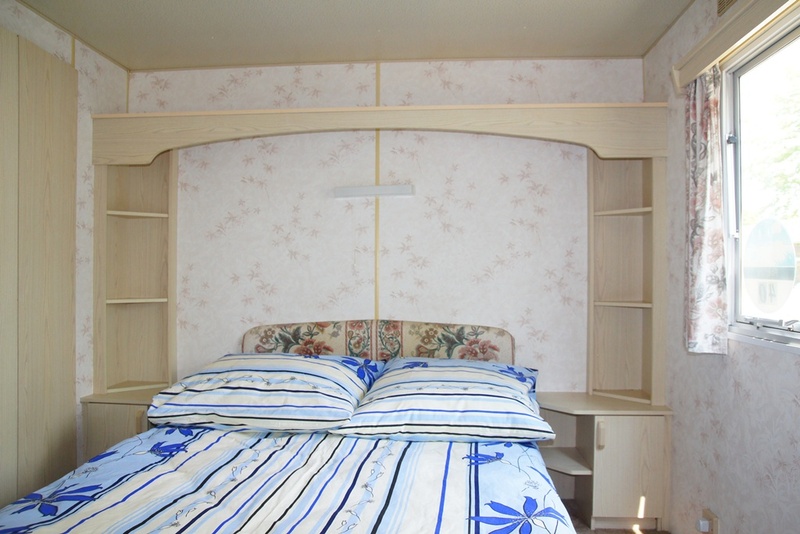 One bedroom with double bed (with bed set) and dressing room, second bedroom with two single beds (with the possibility of combining in one) with bed set. 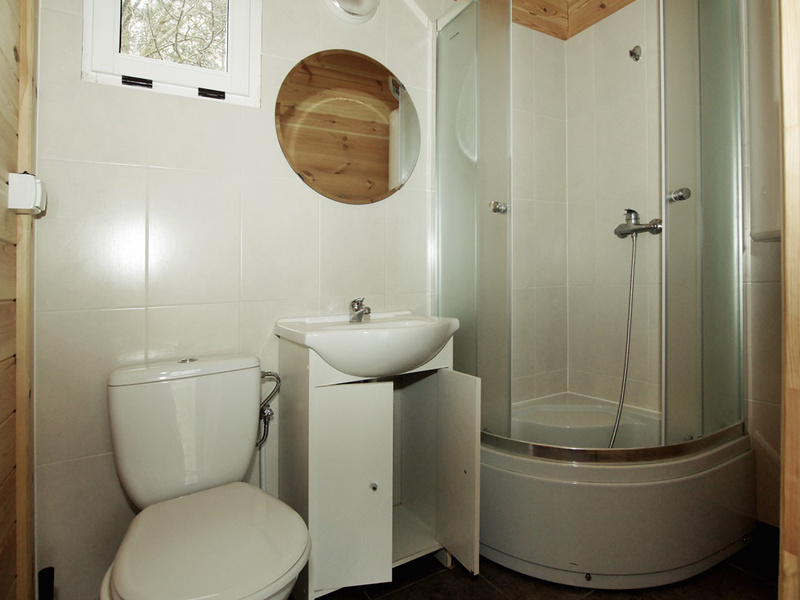 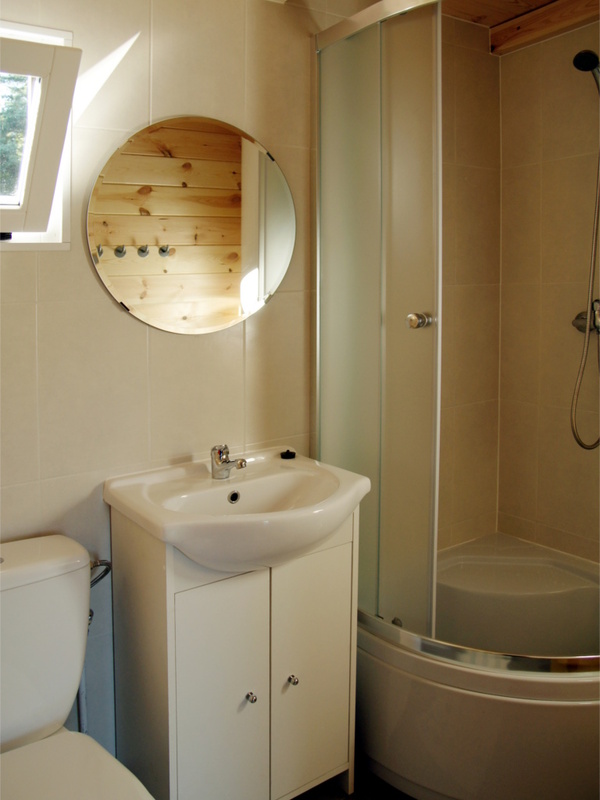 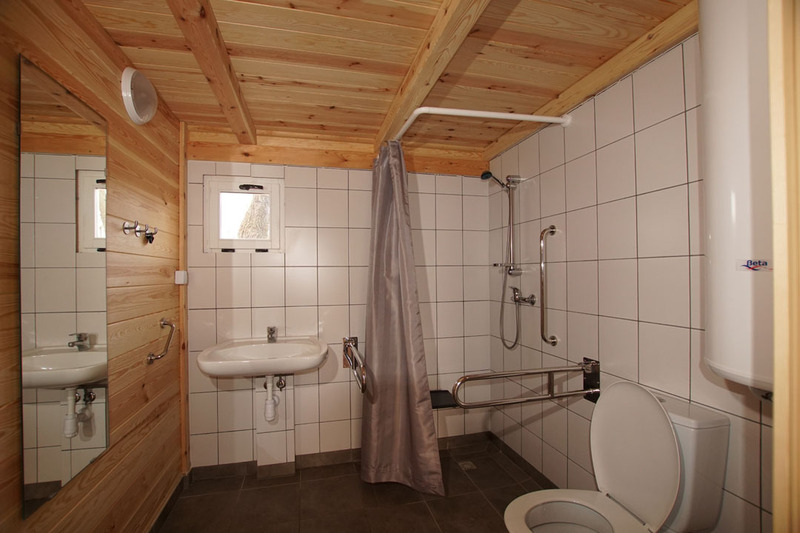 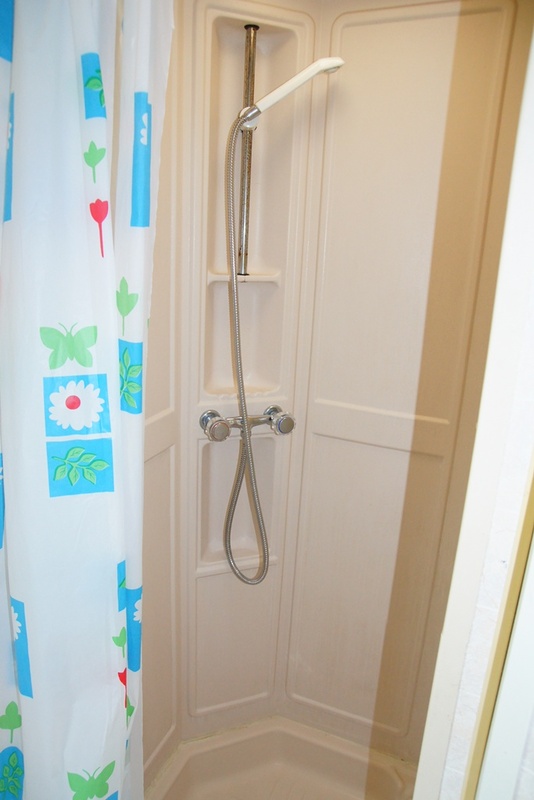 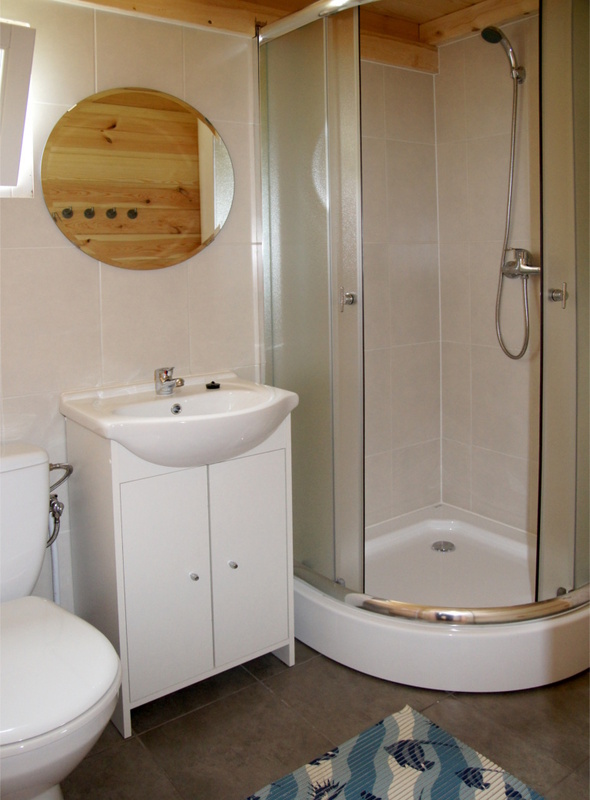 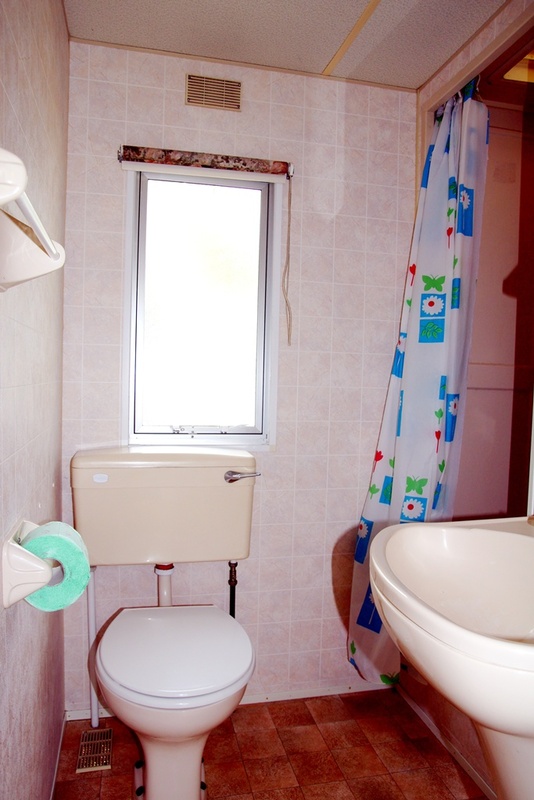 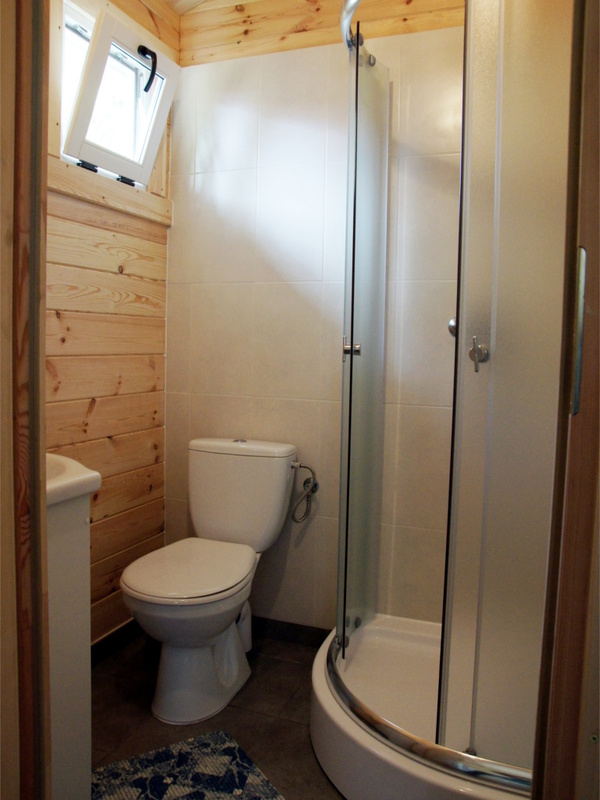 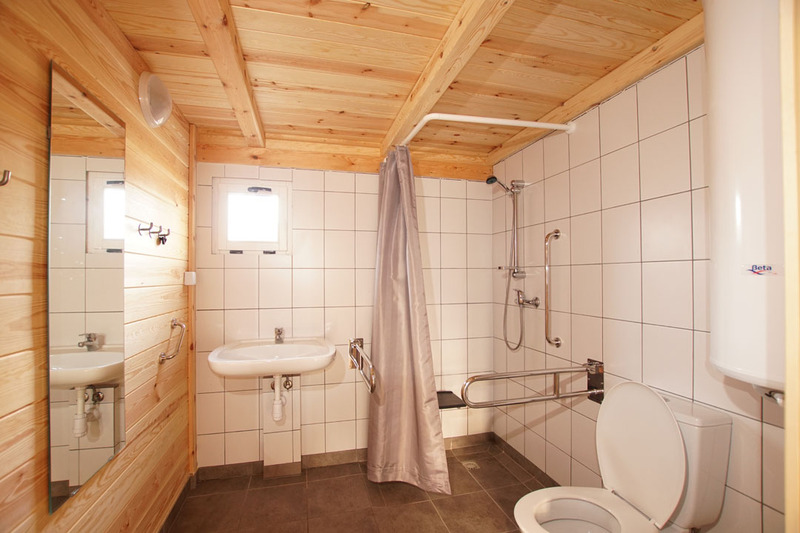 Bathroom with toilet and shower cubicle (with connection to the current hot water and sewage system). 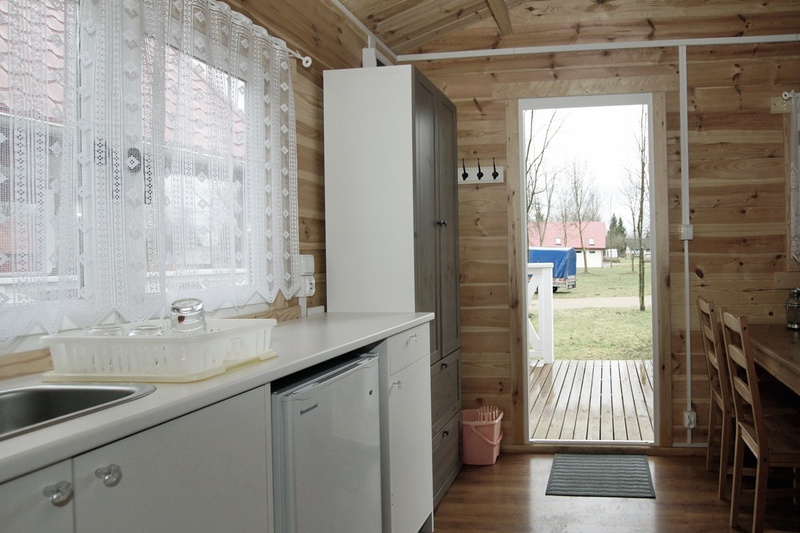 In front of caravan home there is a table with chairs. 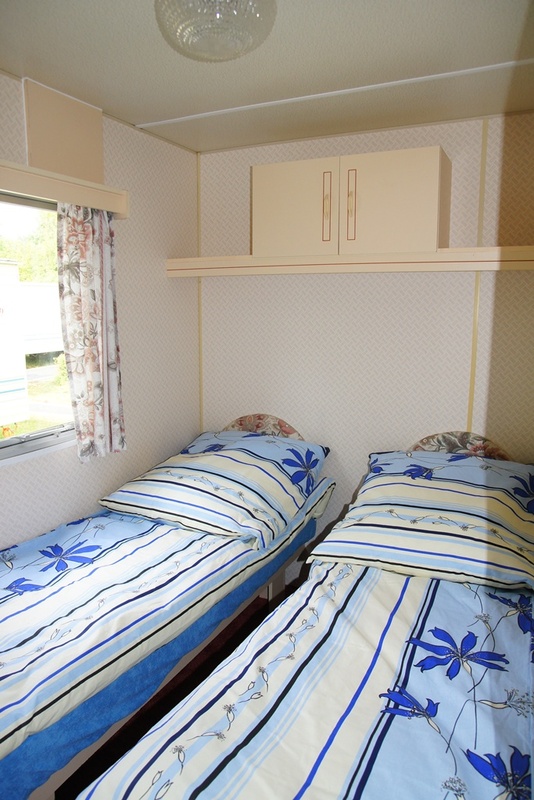 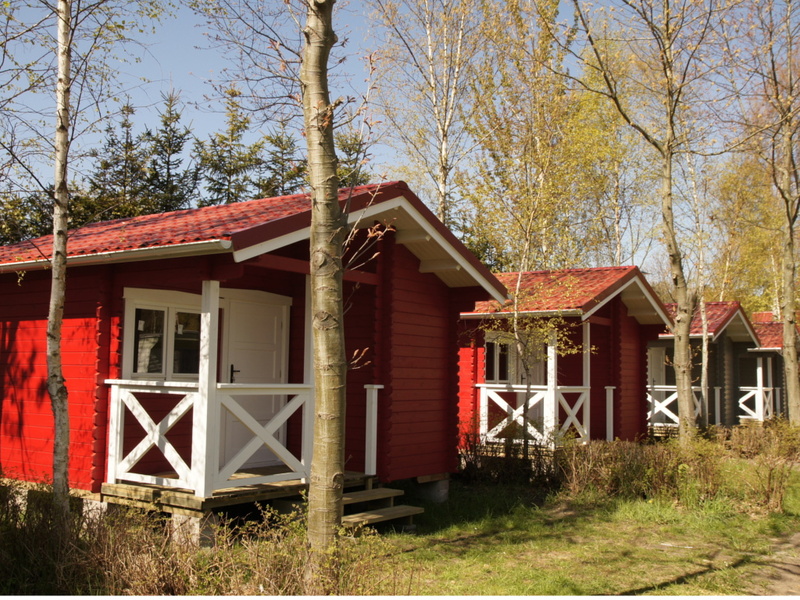 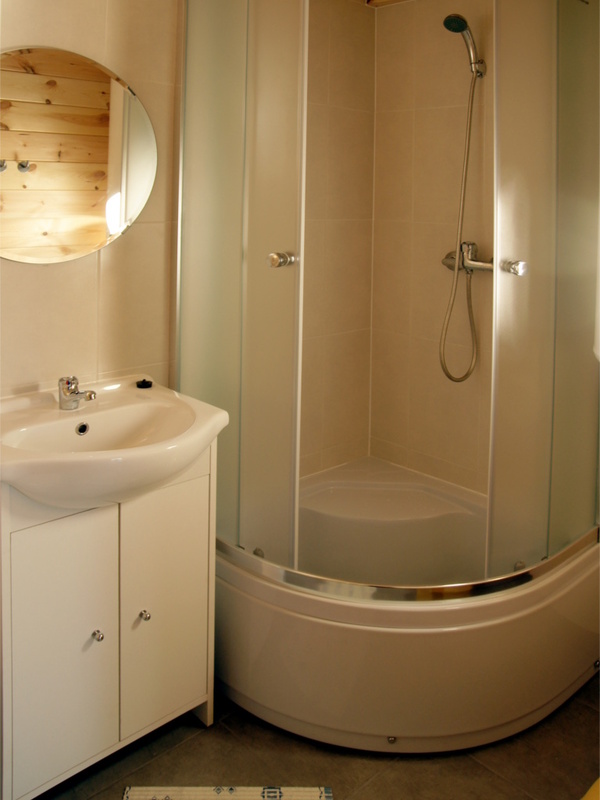 Each static caravan home is separated by a hedge so that our guests can enjoy peace and a bit of privacy.